Rik is a free bootstrap app landing page template based on Bootstrap for mobile app. It’s a free responsive template built with HTML5, CSS3 and Bootstrap. Present your mobile app beautifully with Rik. Rik is a responsive Bootstrap app landing page template. So all default bootstrap features are available in this free bootstrap app landing page template. There is 3 background option available. Image background, gradient background and video background. All versions are available in separate folder. PSD Mokcups of the phones (iPhone) included in main files of the template. So you can edit the PSD mockups and easily generate the phone image with your mobile app screen. 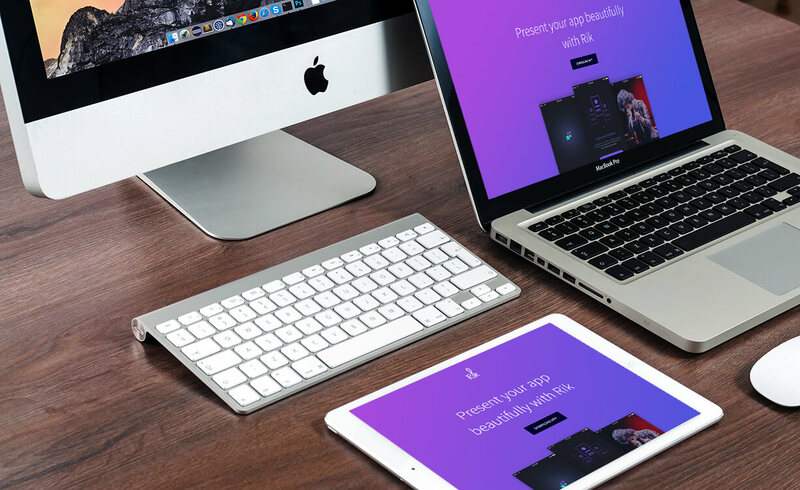 Rik is a free responsive html5 app landing page template. Here the more awesome features of this free app landing page template. The template has a subcription form. So you can use to collect emails of your users. You can collect emails to your MailChimp list. Also you can save the emails in a .txt file. Our free template comes with a detailed online documentation. So you will find clear instructions about using color variations, background styles, icon, other configuration and modification. This app landing page is designed and developed to help you to get more visitor. So your site will face no issue on SEO ranking with this free app landing page.